Want to post unique content to your page every day? 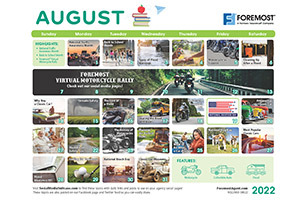 Use our monthly social media calendar to help plan social media posts for your agency! Find your own articles based on the downloadable calendar or just copy and share our daily post. 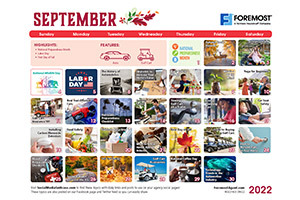 Use our monthly social media calendar to help plan social media posts for your agency! Click on the black 'Copy' tab button to copy text. Click on the blue 'Share' button to open new Facebook page. Paste ( Ctrl + V ) copied content into 'Share on Facebook' page. Post to Facebook! Plan your posts for the rest of the month. It’s Tax Day, which means it’s the last day you can file your taxes. If you still haven’t done yours, visit www.irs.gov to learn about the different options you have to submit them by midnight tonight.